Thryn Saxon was born and raised in Miami, FL where she attended New World School of the Arts High School. In 2014 Saxon received her BFA in Dance from Florida State University. She spent her first year in New York as an apprentice with the Bill T Jones Arnie/Zane Company and had the honor of performing with them in New York and Baltimore, MD. 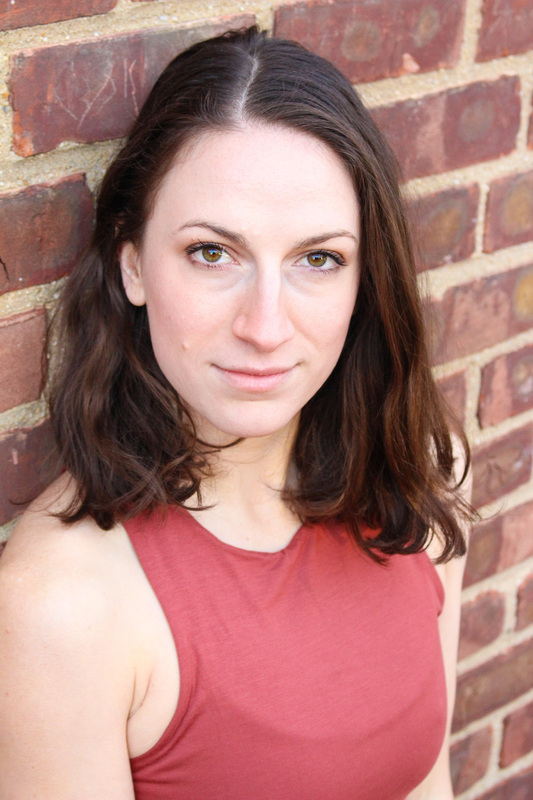 Saxon has had the privilege of performing works in NYC by John Zullo and Rosie DeAngelo and is also currently performing with SpacesOfFontana and Julia Ehrstrand and is in her second season as a company member with Kate Weare Company. Saxon is also a part of the teaching staff at Peridance Capezio Center and Gibney Dance Center. Brittni Genovese, native of Timberlake, North Carolina, began her dance training at the age of two at Nina’s School of Dance in Durham, North Carolina. There she studied many forms of dance technique, including ballet, modern, jazz and tap. She then went on to extend her creativity and knowledge of dance while attending East Carolina University, where she received her BFA in Dance Performance. During her time at ECU, Brittni had the opportunity of working with many choreographers and companies including, Jennifer Archibald, Koresh, Nan Giordano, and River North. After graduation, Brittni then spent the summer of 2014 in Manteo, NC while performing as a dancer in the cast of The Lost Colony. From there she made “the jump” and moved to New York City where she has had the opportunity to work and network with numerous fellow dancers, companies and choreographers such as iKADA, The Co-Op, The Jinah Parker Project, and now Spaces of Fontana. Brittni plans to, one day, earn her MFA in Dance, so that she can pass on her passion and love for dance to future professional dancers. Erke Roosen was born in the Netherlands. She received her dance training (BFA) at the Royal Conservatory in the Hague, the Netherlands. She completed the Certificate Program at the Peridance Capezio Center in New York. Erke has worked with Netherlands Dance Theater 2 and performed in several theaters in the Netherlands and Europe. She is currently working with Depth Dance, JP Dance Group and Emotions Physical Theatre in New York, alongside other freelance projects. Jason Fowler served as the resident choreographer in a interdisciplinary and cross-collegiate collaborative virtual reality project Dance | Rift created by professors and staff at the University of Texas Dallas and Brookhaven College that utilized state of the art equipment to bring 360 degree footage of dancers into the virtual space of Oculus Rift. He has created works that explore fixed spatial distances, representations of the subconscious, and engineered disorientation. Jason has performed as a dancer in the Glimmerglass productions of The Flying Dutchman, Camelot, and Jessica Lang's staging of Pergolesi's Stabat Mater. He has danced in the Dallas Opera's World premieres of Terrance McNally's Great Scott and Mark Adamo's Becoming Santa Claus as well as the company's stagings of Sir David McVicar's Manon and Francesca Zambello's Show Boat. After receiving a BFA in Modern Dance from Texas Christian University, he continued his dance education by studying with dance makers Sidra Bell, Victor Quijada, Hélèn Blackburn, Crystal Pite, Mark Dendy and has performed in works by Robert Battle, Martha Clarke, Jerome Robbins, Bruce Wood, Bill Evans, Jerome Robbins, and more. Madison McGain, originally from Maui, Hawai'i, received a BFA in dance from Adelphi University in May of 2017. During her time at Adelphi, Madison performed works by Martha Graham, Lar Lubovtich, Orion Duckstein, Oliver Tobin, Earl Mosely, and Manuel Vignoulle. Additionally, she attended programs at San Francisco Conservatory of Dance, Bates Dance Festival as well as the Susan Marshall WORK lab at Barnard College , where she performed works by Ohad Naharin, Kate Weare, Delfos Danza and others. Since graduating, Madison has had the privilege of working with CoreDance Contemporary, Amanda Selwyn Dance Theatre, and Mizanty Moves Dance Works here in New York City. She is very excited to be joining the Spaces of Fontana family! Cy Miessler is a percussionist and composer. He has earned a Bachelor of Music in Percussion Performance and a Performance Diploma in Percussion from Indiana University, where he studied with Kevin Bobo, John Tafoya, Michael Spiro, and Steve Houghton. While at Indiana University, he studied composition with P.Q. Phan, Jay Hurst, and Nathan Stang. In 2016, Cy was commissioned by J.B. Smith and the Arizona State Contemporary Percussion Ensemble to compose a piece for the McCormick Marimba Festival in Florida. 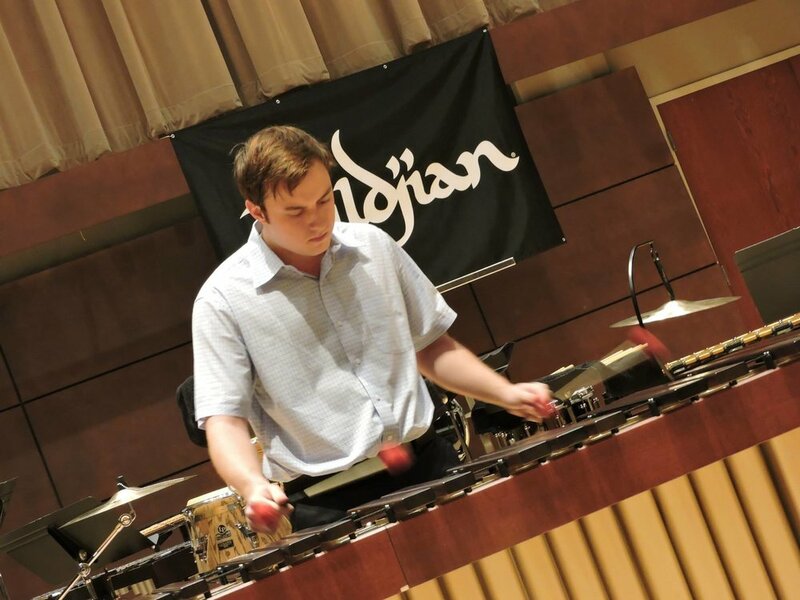 He received 1st place at the Mid-Missouri Marimba Competition in 2015, and was a semifinalist in the Great Plains International Marimba Competition in 2014 and 2015. He also was the winner of the Indiana University Percussion Concerto Competition in 2011, in which he performed the Kraft Timpani Concerto. Cy is currently finishing his Master’s of Music in Percussion Performance at Arizona State University, where he is a teaching assistant and studies with J.B. Smith. Brenda Petro is an educator and visual artist living and working in Lafayette, Louisiana. She has collaborated on many projects in her community, most recently, a dance adaptation of the graphic novel, Ms. Marvel. She primarily works in oils and pastels on her art projects but is open to and enjoys experimenting with different mediums and materials.